Sing along and learn about women’s history! This participatory workshop will use folk songs to illustrate themes in the history of women, gender, and sexuality from the eighteenth to the late twentieth centuries. 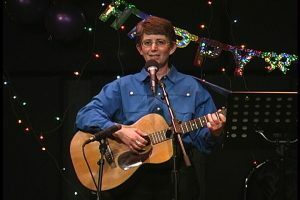 A long-time member of the SF Folk Music Club, Estelle Freedman has taught women’s history and the history of sexuality at Stanford University for over four decades. She has recorded several albums of original songs and is co-directing a documentary film, “Singing for Justice,” about Faith Petric.